For over 80 years, Camp Quinebarge has been a summer home away from home for kids where they can play, learn and be challenged all day at the activities of their choice, have meaningful and fun all-camp events, develop lifelong friendships, and be cared for and mentored by a diverse staff from America and all over the globe. 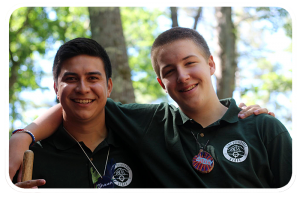 Set on 65 acres of woods on an idyllic lake, our traditional boys and girls camp is proud to be one of the best camps the New Hampshire’s Lakes Region. Quinebarge builds independence and excitement in campers because each camper gets to decide what they want to do. 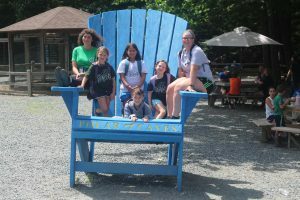 Every week campers choose from woodworking, arts and crafts, sports, adventure, nature, horse-back riding, and boating to create the program they want. 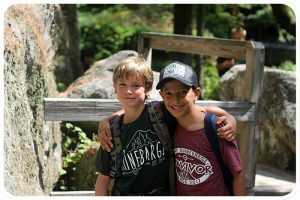 They can also choose to do one of our daily hikes instead. . Campers love having so much control over their schedule and over time they do things they know they like and challenge themselves to learn or do something new. After their full day, Quinebargers, spend their evenings in all-camp activities . that can range from capture the flag and scavenger hunts to campfires , skits , and dances. Evenings also feature cabin bonding time, with our special candle pass (using LED candles, of course) chat circles and occasional cabin-focussed evening activities.. 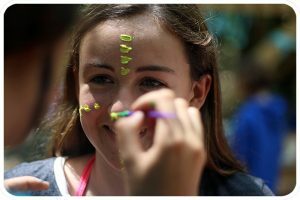 The variety of our evening activities keeps campers engaged and happy. We end the night quietly as all campers gather for our Friendship Circle. Camp Quinebarge’s staff is from all around the world. Most staff is college aged and are studying to be teachers or coaches. Our staff goes through a week of training ( Quinebarge Traditions) and leadership training to deal with all situations relating to camp. At Quinebarge we are lucky to have a lot of our staff return every year and they say it is because of how much they love Quinebarge .